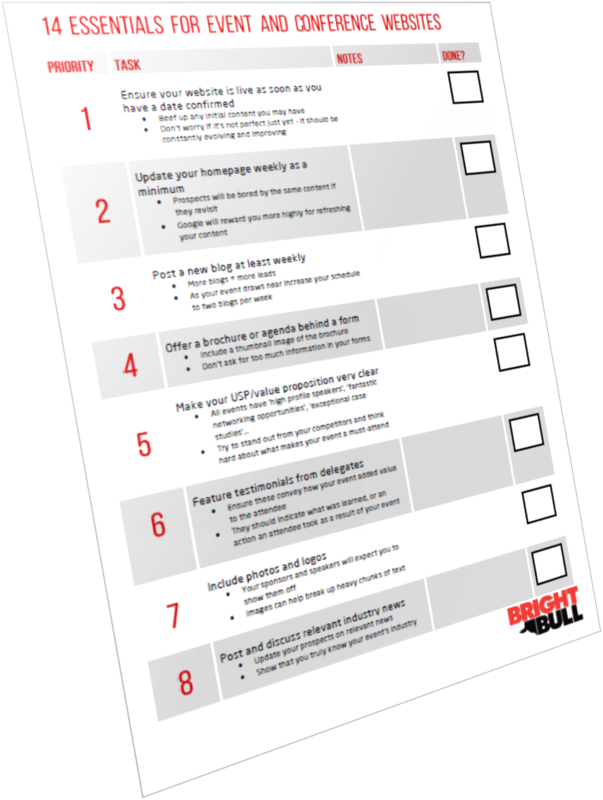 Download our checklist and see your online engagement rise! Your event website is a crucial element of your marketing strategy and getting it right could have a huge impact on leads, registrations and ultimately attendees. Why settle for mediocrity when you could knock this right out of the park? Your details are in safe hands. And we will not bombard you with emails that are not relevant and that you have not requested. Please, please, please share it with your network.